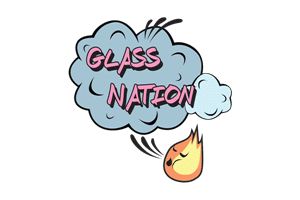 Glass Nation strives to carry all the roll-your-own smoking essentials including rolling papers. Rolling papers have been around since the beginning of smoking culture. Almost nothing beats the classic feel and look of a fine roll. Taking some time to practice your rolling skills could pay off handsomely. Impress your friends and family with your epic rolling skills. Everyone can roll a perfect cig with practice. However, if you can’t roll well you could always get a cigarette rolling machine. They are able to produce perfect cigarettes every time. Glass Nation knows how important it is to roll your own sometimes. Everyone has tried to use classic papers every now and again. Rolling your own cigarette has a classic ascetic to it. Rolling is oftentimes more convenient than carrying a glass piece or vaporizer around with you. If you haven’t given rolling your own a try: you don’t know what you are missing.